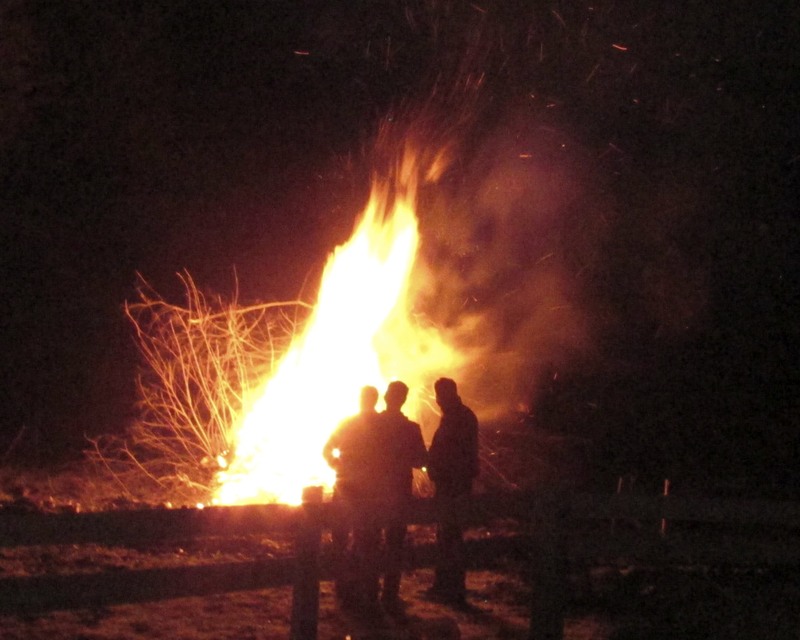 I’ve been in the UK long enough to have attended a bonfire or two especially since they occur routinely on the 5th of November every year, but last night was actually my very first one. John and I went to a 50th birthday party for a friend in the village and in addition to fireworks, there was a huge bonfire. While I expected to see a roaring big fire, I did not expect to see the faces that you see in two of the images I took. An interesting observation is that these two photographs are separated by six photos in-between, none of which have anything resembling a face, making it seem to be a look that came, went, and re-emerged from the smoke. It’s not the first time I’ve seen something unusual in a photograph and I’m sure there must be an explanation, I’m just not sure what it is. What about you, have you ever had a ghostly image show up in your photographs? 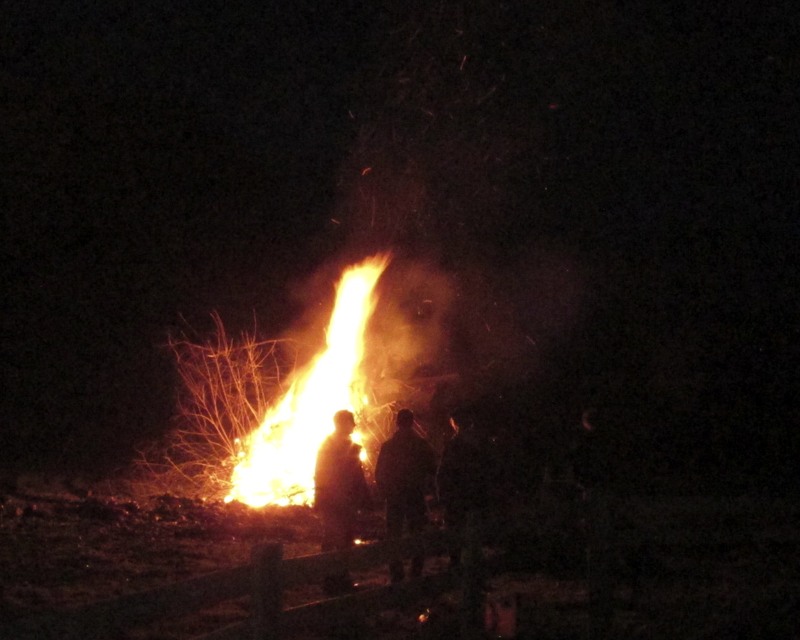 This entry was posted in Adventure, Cornwall, Life in General, Living in UK, Photography, Photos, Unexplainable and tagged Birthday Party Bonfires, Bonfire Nights, Cornwall, Elizabeth Harper, Faces In Smoke, Ghost Faces In Photograph, Ghost Photograph, Ghost Stories, Ghostly Faces, Ghosts, Gifts Of The Journey, Guy Fawkes, Spirit Faces In Smoke. Bookmark the permalink. ← Selling A Dream – Where Are They Now? I have heard that the human brain is hard-wired to recognize faces, even the tiniest babies can tell people apart. And this is why we tend to recognize the shape of faces in the clouds, Jesus on toast, and such. I don´t know. Those images do look spooky, though. We have had figures appear in photos in our woods several times, flames shooting out of someone’s head and clouds of energy in places that shouldn’t have clouds. Religious people see the face of Jesus everywhere. Fascinating and creepy photos. While we are hardwired to see faces, I also believe that sometimes thing happen that are simply unexplainable.